Would you buy a cellphone with a hardcoded password? Definitely not. I wouldn’t either. But as is sometimes the case with non-mass-market devices, security can be overlooked in favor of convenience, even if in retrospect it’s clearly a mistake to do so. Fortunately, this story has a happy ending, thanks to responsible disclosure and quick vendor response. As a vulnerability research engineer at Qualys, I routinely audit various devices, and today Qualys is releasing information on three new vulnerabilities I found on the Garrettcom Magnum 6k and Magnum 10k Series managed switches. The firmware contained hardcoded password linked to a privileged account used for support and maintenance operations. A malicious person who discovered the password and had access to the device could execute commands or shut down the device. Even worse, a Shodan search indicated that at least seven of these devices are connected to the Internet and publicly discoverable. The firmware also contained hardcoded RSA private keys and certificate files. An attacker having access to these certificates and keys could not only decrypt the HTTPS secure traffic but also log in via ssh without a username/password to any device running the same version of the firmware. Less interesting but still important to fix were some cross-site scripting (XSS) vulnerabilities. In accordance with Qualys’ responsible disclosure policy, we notified the vendor and ICS-CERT, the vendor has released fixes for the Magnum 6k series and for the Magnum 10k series, and now we are going forward with coordinated disclosure following publication of the ICS-CERT advisory. 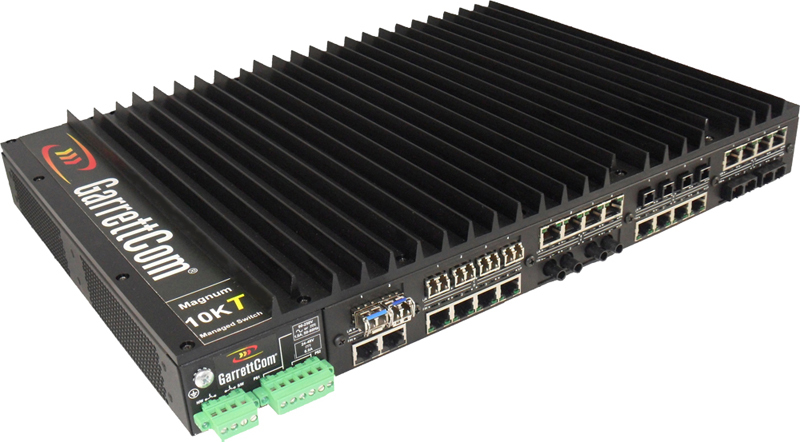 Garrettcom Magnum devices are a range of managed switches specially designed and hardened to withstand some of the most grueling industrial environments with high EMI, extended temperature range and significant atmospheric contamination. GarrettCom estimates the affected products are deployed primarily in the United States with a small percentage in Europe and Asia. According to GarrettCom, the devices are deployed across several U.S. critical infrastructure sectors including critical manufacturing, defense industrial base, energy, water, and transportation. According to their website the devices are used in the power industries, smart grid backbones, intelligent traffic systems and other industries / systems. 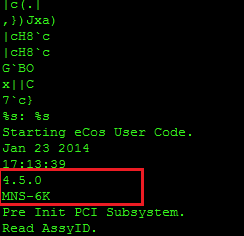 All tests were performed on firmware (Rel_6K_A450.bin) version 4.5.0 for Magnum 6k series as shown in the image below of the string output for the firmware binary. I found three classes of vulnerabilities. The account was meant to provides an elevated access to the device, meaning an attacker having access to the device could gain elevated access to the device and change the device setting or initiate a complete shutdown causing a denial of service. Search results returned by Shodan reveal 17 active devices that are accessible over the internet, which are still having vulnerable versions of firmware running on them. The vulnerability were reported to be patched in earlier versions of the firmware, but we found that the account and password still exist. The newer firmware revision 4.5.6 fixes this issue, and users are advised to upgrade to the latest version. During the reverse engineering process of the firmware, it was discovered that the firmware had hardcoded RSA private keys and certificate files, which were used by the server for SSH and HTTPS connections. Any firmware using hardcoded private keys and certificates pose a greater security risk, as the firmwares are meant for a series of multiple devices, all the devices running the affected or earlier versions of that firmware are by default vulnerable, which means that an attacker just has to gain access to the keys/certificates and he would be exploit any similar devices with ease. An attacker having access to these certificates and keys can not only decrypt the HTTPS secure traffic but can also log in via ssh without username/password to any device running the same version of the firmware. In case with Garrettcom Magnum 6k and 10k device series, the firmware contained hardcoded key which were used for ssh connection to the device. The key are meant to provide ssh access to the device without any password, the key were protected using a passphrase that was easy to guess as demonstrated in the below snapshot. The snapshot below shows the key used for SSH connections to the device. The key is being protected by passphrase: “magnum6k” which was verified using PuTTY Key Generator, as shown below in next snapshot. The firmware also had keys and certificates that were meant for HTTPS communication. Access to these certificates and private keys means that any attacker intercepting the traffic between the device and the users can decrypt the communication channel and tamper the data or conduct replay attacks. The below snapshot is for the key and cert used for HTTPS connections. The private key above present in the firmware was tested using the HTTPS traffic captured between the browser and device and was successfully decrypted using the above key obtained from the firmware.As the private keys are hardcoded in the firmware, same keys were used across range of devices. 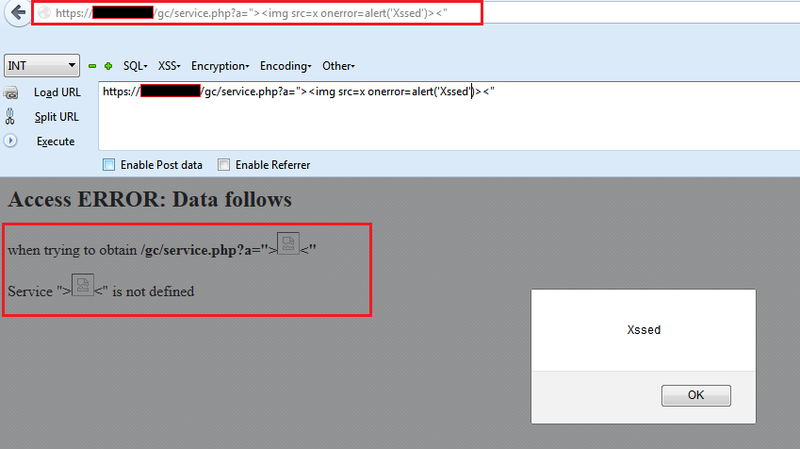 Below is the demonstration of the vulnerability, which shows that the device is vulnerable to XSS. Below is a snapshot of the vulnerability. Below are the private keys and certificates that were extracted from the firmware. The first Certificate and RSA key pair is for SSH connection. The rsa key is protected using passphrase: “magnum 6k” and can be verified by loading it in PuTTY Key Generator. the passphrase is "magnum6k", not "magnum 6k". Thanks for the heads-up. This has been fixed. Thanks for pointing it out, it was a typo error.